Mgr. Marie Katzerová is a physiotherapist in the Rehabilitation Department of the Children’s University Hospital, Brno, Czech Republic. Her specialisation is the care of people with haemophilia and other bleeding disorders. Mgr. 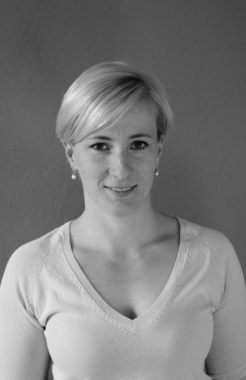 Katzerová has a Master’s degree in Physiotherapy from the Faculty of Medicine at Masaryk University (2008). As a physiotherapist for the Czech Haemophilia Association, she has participated in the education of physiotherapists on bleeding disorders topics (University Faculty of Medicine, postgraduate education, etc). Marie has organised workshops in haemophilia treatment centres (HTCs) and participated in multidisciplinary regional meetings for haemophiliacs and their families. She has organised the physiotherapeutic part of summer camps for haemophiliacs and has work regularly with people with haemophilia with inhibitors on their spa time (adults and children). Her therapy is based on neurophysiology, musculoskeletal medicine, and kinesio taping.